Do you offer free hearing screenings? Is Dr. Fors available at all of your locations? 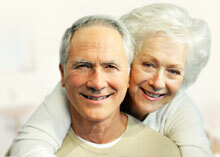 Do you carry hearing aid accessories? Do you offer special services for veterans? Why do some people seem to do so much better with hearing aids than others? Aren't they all alike? Will insurance cover the cost of my hearing aid? It's hard for me to take time off work. Do yon offer flexible appointment times? What is the "Real Ear" test? On occasion, we offer free screenings. This is not a diagnostic evaluation, though, and will not indicate whether your hearing loss is medically treatable or not. Typically, third party payers will cover diagnostic evaluations if you see a Licensed Audiologist (like Shirley), and we encourage you to schedule an appointment for this. Most certainly! Dr. Fors is at the Plymouth office on Mondays and Fridays, the Northeast Minneapolis office on Tuesdays and Wednesdays, and the Hutchinson office on Thursdays. Please schedule your appointment on the day(s) of the week she is at the most convenient location for you. We order from 13 different manufacturers at this time. We don't believe in pushing any one hearing device company over another, nor are we under any financial obligation to do so. Not all Audiologists or dispensers can make this claim. Shirley is most concerned with your comfort and satisfaction. Whichever product you choose, we will do our best to help you adjust to your new world of sound so you can hear as well as possible. We certainly do! We carry a full array of domes, wax guards, cleaning products, batteries, and travel containers. When you buy a hearing device from us, any accessories you need are included. Indeed we do! Most of our patients are veterans, so we have built excellent relationships with both the Minneapolis and St. Cloud VA's. Partnering with them ensures veterans receive efficient, specialized, and personal care for their hearing loss. Yes, we can see children as young as two years old. In fact, Audiologists are the only hearing professionals that are authorized to treat people aged 18 or younger. There are vast differences between hearing aids, hearing losses, listening needs/challenges and levels of expertise among practitioners. Also, everyone adapts to change differently. In our experience, the longer one waits to address their hearing loss with hearing aids, the harder it is to get used to hearing better again. There is a wide range of cost for hearing aids. Because we recommend only the highest quality products availalbe on the market, the devices we select for you may be on the upper end of that range. The average cost for a device we'd recommend is $4,000 (this would be for both ears). This includes a lifetime of service for the device and unlimited access to device accessories such as domes and wax guards. It is unlikely your insurance provider will cover the entire cost of your hearing device, and in our experience, they don't cover much of the cost at all. Specific questions are best directed to your insurance provider once we've recommended the best device for your unique hearing loss. Yes, we have evening and weekend appointments available. Let us know what works best for you! This is a test we do after fitting you for your hearing device. It simulates ambient noise to measure the effectiveness of the device in the most common noise settings you'll encounter on a day-to-day basis.